The hall of mirrors was always my least favorite aspect of amusement parks. There is something distinctly unnerving about trying to find your way through a labyrinth that projects endless versions of yourself around you. You use your hands to find your way as you try to avoid stumbling into reflections of your own body, wondering why you spent money on this when you could have splashed out on another candied apple. 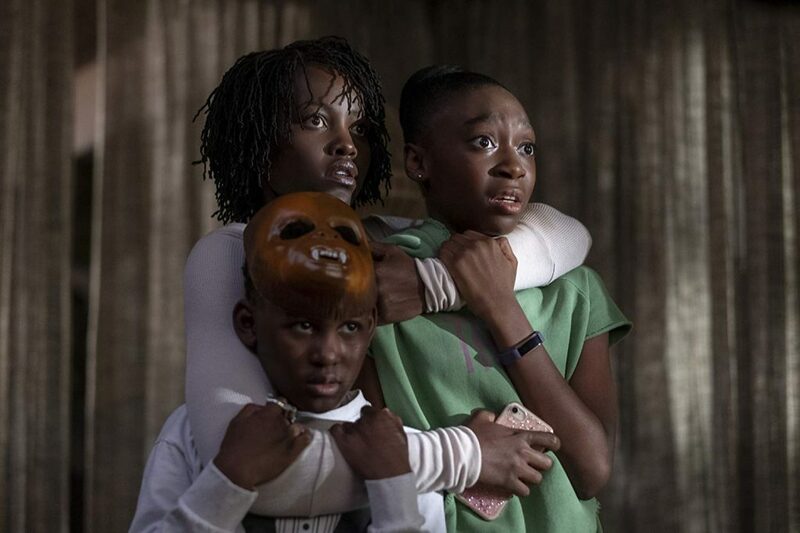 So, when Jordan Peele’s sophomore film Us opened with a hall of mirrors, I knew that the film was going to tap into a childhood fear of mine that never really went away. 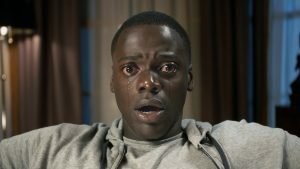 Us is, as Peele says, a “horror movie.” But don’t expect flashy jump-scares, psychedelic visual effects, or a deep-dive into the supernatural. Us is a horror movie because Us is a personal movie. Whether you’re scared of creepy amusement parks or not, Us trickles its way into the deepest corners of your heart and pulls out your darkest fears. Peele does this by making the monsters of the film humanity’s most unavoidable enemies: ourselves. The film follows a family on a trip to their Santa Cruz beach house: husband and wife Gabe (Winston Duke) and Adelaide Wilson (Lupita Nyong’o), and their children Jason (Evan Alex) and Zora (Shahadi Wright Joseph). Things seem fairly serene at the start. Gabe buys a boat with a faulty engine, showing it off to his family with a proud grin as they roll their eyes. Adelaide encourages her kids to get into rap music, teaching Jason to snap along to the beat. Zora texts under the covers, earphones plugged in. Jason tries to perfect his magic trick, cultivating a safe hiding space for himself inside the closet. The representation and depth of character in itself is already something to commend. “I want to see a black family on the beach, dammit!” Peele said in his Vanity Fair interview. From the very beginning, Us is a breath of fresh air. But the peaceful illusion is quickly shattered when we realize that the Santa Cruz boardwalk is where Adelaide, as a young girl, walked into the hall of mirrors and found herself face-to-face with her doppelgänger. Dressed in red jumpsuits, grasping golden scissors, and characterised by shaky and jerky movements, the intruders break in with a violent air, rising up from nowhere like the walking dead, mimicking the zombies on the “Thriller” shirt that Adelaide wore as a young girl. The monsters of Us call themselves “The Tethered.” They represent humanity’s dangerous and darker selves, paving the way for a new mythology that taps into the duality of the characters. They are uncannily similar to the original family, but with enough differences to unnerve and linger with the audience. Nyong’o’s performance is breathtaking. She communicates a spectrum of emotions with a single glance at the camera, a tear sliding down her cheek, and a twist of her hands. She has a fascinating control over her facial expressions, movements, and voice, that lingers with audiences far beyond the cinema. Her talent shines when she acts as her character’s “Tethered” self—speaking in a raspy, rattlesnake rattle that thrums in your ears and makes you recoil in your seat. She scuttles around like an insect, but there is a mesmerising regality to the way she holds her head high. Adelaide’s character is an admirably complex queen of the underworld: a product of a traumatic past, an anxiety of the present, and a hope for the future. Us is a film worth seeing more than once. Peele is an incredibly clever director, endowing meaning and function into every action and prop. Eerie coincidences are scattered throughout the movie. A red Frisbee lands precisely on a blue dot on a beach blanket. The camera zooms in to a clock striking 11:11. Duality is explored within the symbols themselves: innocent rabbits and gleaming scissors morph into sinister implications for the characters within Peele’s universe. It is also distinctly American. There is a “Hands Across America” motif throughout the film that prods at the concepts of American exceptionalism and optimism, harkening back to the 1986 benefit event, which saw over six-million people link arms across the country. Us challenges the audience to examine their sense of national identity and hope, showing the suffering that can accompany positive development. 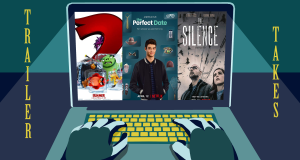 The film is intertwined with flashback scenes from the 80s, which successfully evokes the sense of nostalgia and joy that were associated with the time, as well as the underlying darkness within it. Similarly to Get Out, Us holds up a devastating mirror to America. Spell-binding, perplexing, and topical—Us is an undeniable masterpiece that shows us how every positive can be followed by something evil that lingers under the surface, watching and waiting for the perfect time to rear its ugly head.